It has been a slow start to actually working on Dorothy, or I should say, to physically working on her. 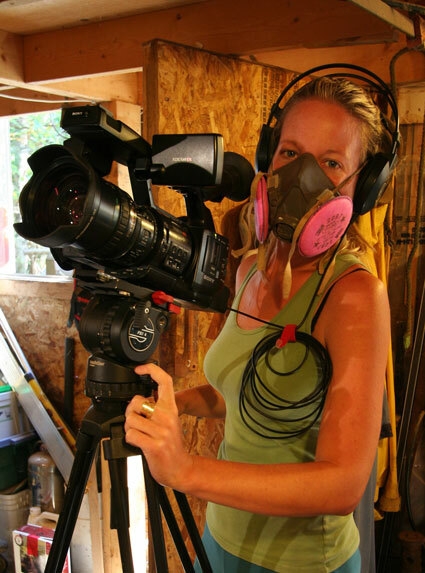 I have been taking on other work so that the documentary on her restoration ("Between Wood and Water") could work out details like technical and funding stuff. 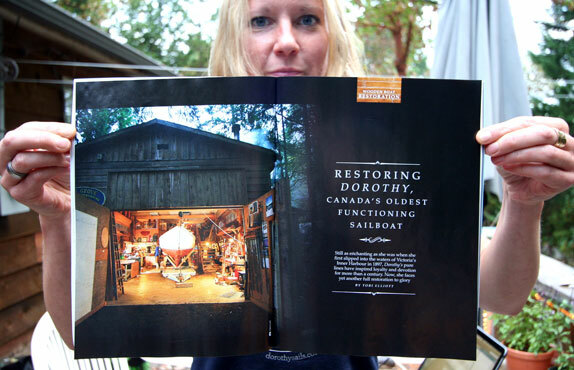 Most of the work done so far is related to opening her up and exploring her age-related issues. Along with producer Tobi Elliott, we have been doing a lot of press interviews, lectures and talks (ing), as well as participating in the annual series of boat shows, partially regarding Dorothy. Starting this fall and winter 2013-14 will be a bigger push to get things done on the restoration. Postings of Dorothy’s media attention is under Resources, Media on this site. 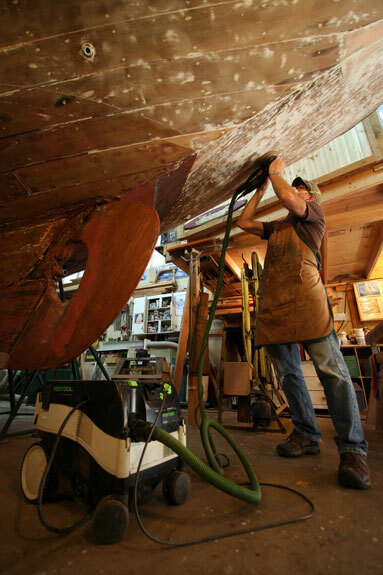 For me as a shipwright who likes to specialize in restoring wooden boats, it is a great opportunity for me to be able to work on a boat of this age and see how things were done a century ago, compared to today. I have been trying to put myself in the shoes of the boatbuilders of the time and imagine how they built her: what were the tools used, what condition was the workspace, what wood was available? She was built for around $1,800 in 1897. What does that translate into today’s equivalent value money for work, or cost of living? To date, I have furthered my archaeological studies on Dorothy by removing all the hull paint to reveal what has been hiding underneath. The exposed wood shows some small bad repairs as well as some extensive repairs that were properly done. Overall, it seems most of the hull is original and in relatively good shape. 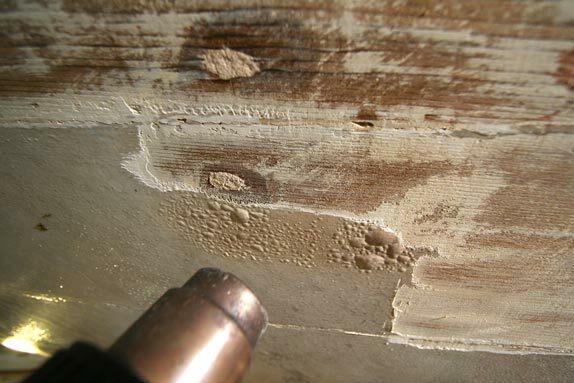 There have been many seams over the years that have been spot caulked (corked) – which I figured out when finding a mix of short sections of seams that have been caulked with different variations of cotton and oakum, as well as the paying materials (putty in the seams) which varies from cement, polyurethane caulking, epoxy, white and red lead putty, and good old sticky tar. 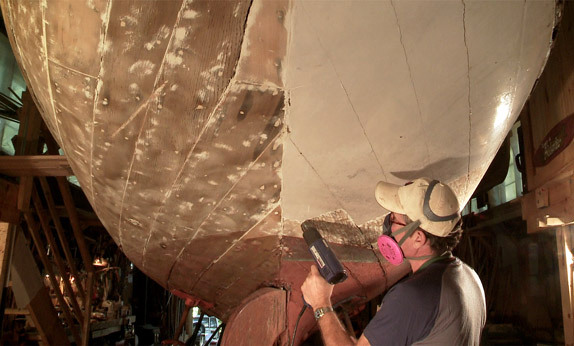 A carvel wooden boat hull should be completely recaulked during her life and a good rule of thumb is after 30 years, then every 20 years to keep her sound. This is a light rule and a trained shipwright should be able to tell you when the time is right. Re-caulking Dorothy’s hull will help tighten her up which in turn helps minimise any fatigue between the fastening and the wood of an old hull. A second interesting find is the original hull planking of red cedar has been scarfed over a frame (sometimes seen in old small boats but rarely larger ones) instead of butting the ends with an inside buttblock between frames, which is the most common way to do it. This was also done at a time when waterproof glues would not yet have been developed, which brings into question the strength of a scarf and why they would have done it this way. That said, despite a little chipping around the scarf on the odd one, they are holding strong after all these years. Another interesting thing with the planking is most of the original planks are flat-sawn instead of quarter-sawn (or edge grain) wood. 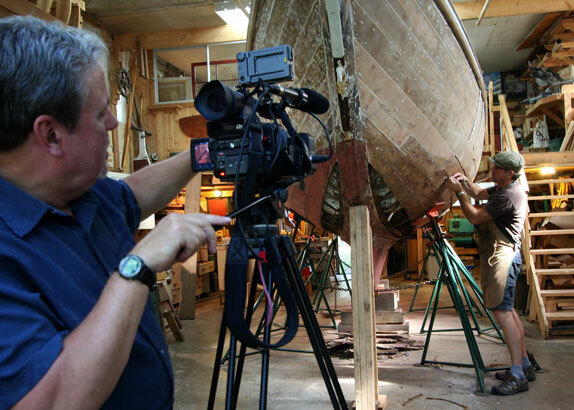 Again, the ladder is typically done on almost all contemporary wooden boats. My assumption is that this was just the wood available, and for many reasons this could be a better way of planking. 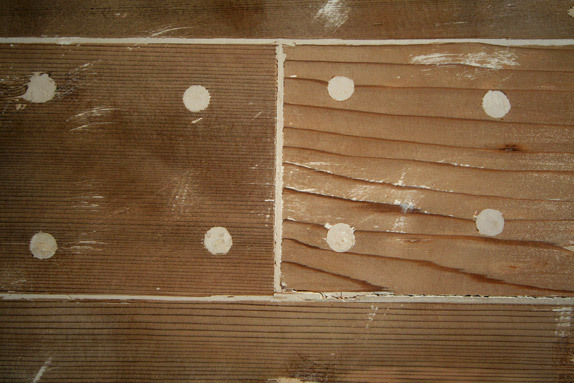 The main reason why we don’t use flat-sawn planking is because of the contrast between soft and hard grains makes it hard to fair the hull (make smooth) and often the grain pattern telegraphs through when paint goes over it. More work is starting and updates will be more often, if you have any questions just send me a note. Using a heat gun to take the paint off. Paint off the port side and just finishing the star side. Tobi filming with a respiratory on due to the smelly paint fumes. Pacific Yachting Aug article on Dorothy by Tobi. Planking, Quarter sawn on left and flat sawn on right. with the Festool vacuum and sander. Global TV, one of many news and life style media outlets covering the story.